Turkish Culture and Tourism Minister announced last week the introduction of the Museum Pass Istanbul Card for tourists visiting museums of Istanbul. Museum Pass is valid for Chora Museum and Republic of Turkey Ministry of Culture and Tourism -owned museums in İstanbul. The Museum Pass Istanbul Card allows travelers to enter into Republic of Turkey Ministry of Culture and Tourism -owned museums in İstanbul. It costs 72 Turkish Liras and permits a single entrance to the museums for a maximum of three days or 72 hours. International travelers can purchase The Museum Pass Istanbul at four- and five-star hotels, mobile card stores and Tourism Information Offices. This is a great solution for tourists who want to see the masterpieces of İstanbul that everyone talks about. No more standing in queue, this pass allows you to go straight to the turnstile and save time. There are 6 museums which travelers can enter easily with this card. The museums are as follows; Hagia Sophia Museum, Topkapi Palace Museum (except Harem Apartments), Chora Museum, Istanbul Archaeological Museums, Museum of Turkish and Islamic Arts, Istanbul Mosaic Museum. The ministry in cooperation with the Association of Turkish Travel Agencies (TÜRSAB) introduced Museum Card in 2008 for Turkish citizens only in order to bring Turkish people to the museums. Turkish Hotels Federation President Ahmet Barut and Turkish Culture and Tourism Ministry Director of Promotion Cumhur Guven TasbasiAndy Kurum; FTNnews.com Los Angeles representative attended the reception held at Istanbul Archaeological Museum.Reception and conference organized with the participation of Mr. Ertugrul Gunay; Turkish Culture and Tourism Minister. The head of the Culture and Tourism Ministry’s Revolving Capital Administration; Murat Usta said that number of museum cards issued for Turkish citizens reached 2.2 million by the end of 2010 and number of Turkish travelers visiting museums 61% from 2006 to 2010. Thanks to the “Museum Card”, Turkish travelers can visit more than 300 museums and archaeological sites in Turkey for a period of one year. Mr. Günay also introduced a new museum card for Turkish citizens; Museum Card Plus. The new card has additional advantages compare to the Museum Card. Turkish travelers can get some discounts at culture and art events, free pass or discounts at some private museums. 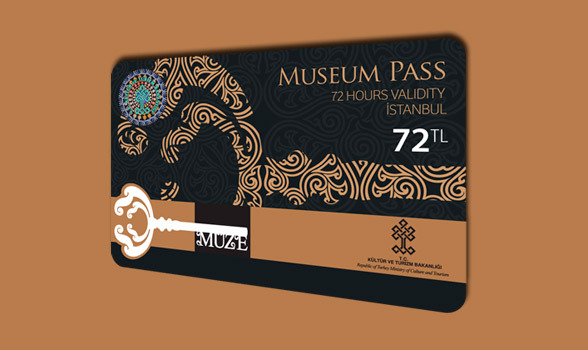 The new Museum Card Plus which is valid for one year and costs 40 Turkish Liras. Mr. Günay also made another announcement during the reception held at the Istanbul Archaeological Museum for the return of the ancient Hittite Boğazköy Sphinx, which arrived in Istanbul after more than nine decades in Germany.